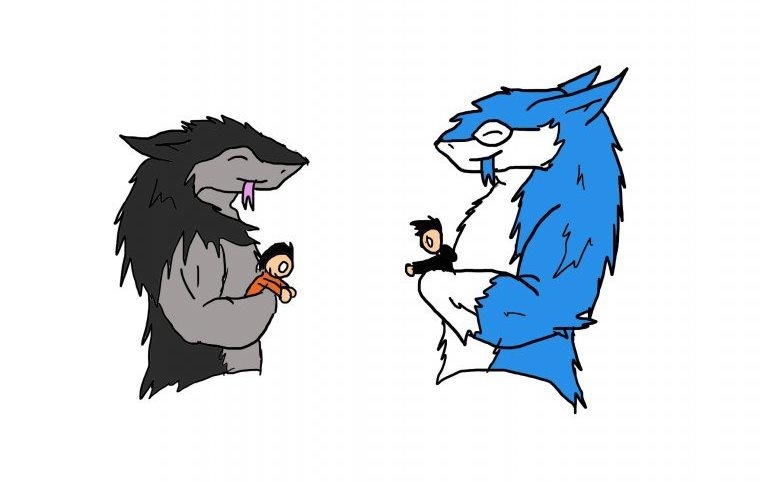 When Mutt learned I had a Pet Sergal as well he insisted I invite him to come and meet him. Vrak was overjoyed to meet another Sergal who also had a little human. Grider and I were squeezed tight as the two Sergals talked for hours.